At least 250,000 people took to the streets of London and in towns and cities across the country last week to make clear that the racist, mysogynist, xenophobic global bully Trump is not welcome here. 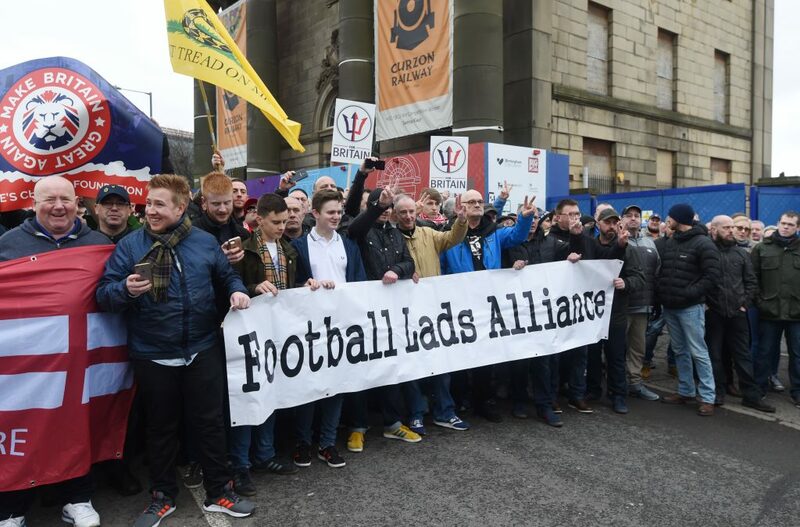 The next day the so-called Football Lads Alliance (FLA) arrived on our doorstep, staging a demonstration in Whitehall which they claim was against extremism, but was a smokescreen for Islamophobia. The smokescreen was soon blown away. The FLA thugs, draped in union jacks and brandishing “Britain loves Trump” placards, assaulted a Unite official and two RMT officers, badly injuring one of them. They went on to blockade a bus being driven by a member of the Unite family, a Muslim woman, verbally abusing her and preventing her from continuing her route for some 30 minutes. Their violence and hate-filled intimidation surely confirms, for anyone who still believes the lie that the FLA and other far right groups believe in free speech and are simply peacefully protesting against the grooming of vulnerable girls, what their real agenda is. Everyone is against extremism, everyone is against child abuse and bigotry. But the truth is that those behind the FLA are preying on the genuine concerns of working-class communities, diverting anger from the real issues to spread hatred and division. The rise of the FLA and other far rights groups in Britain must be challenged. But if we are to be effective in that we must get real about the social and economic conditions that fuel their racist views. Inequality, poor housing, lack of educational opportunities, zero hours contracts, low pay and conditions – and yes, a feeling that you are being ignored, not listened to, even sneered at by the establishment and the political classes. 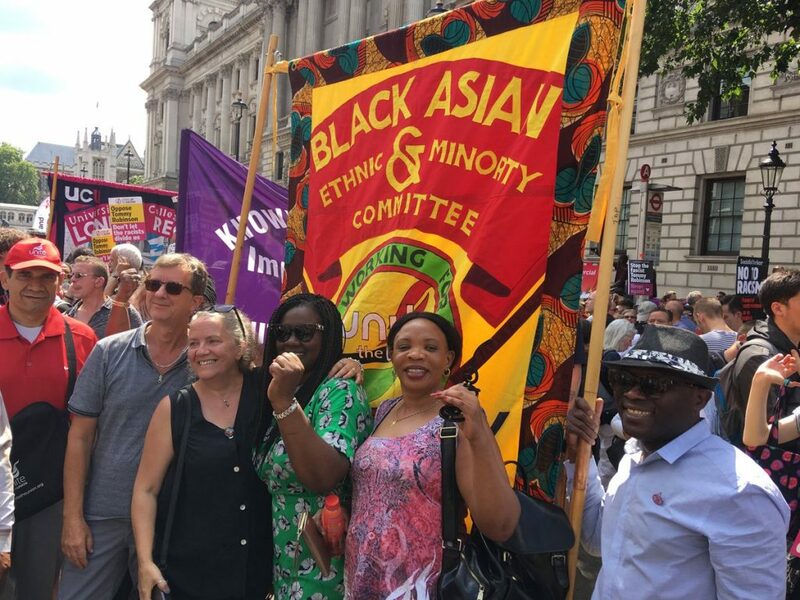 Unite will always challenge and resist those who peddle racism, but we also need to engage with those who are being preyed upon by the hard-core and organised racists. We need to be clear in our opposition – but even clearer about what we stand for and how we are going to get there. Our vision of a fairer society will only be achieved through unity and equality – unity and equality between workers, between women and men, black and white. FLA leaders – many of them the usual far right suspects in new guises – are using these real concerns to build their base. And how better to reach working class men – and they are mostly men (the clue is in the name) than through football. And while we are talking football, how obscene was it to read in the right wing press, the papers that have spent decades vilifying every minority group, attacking asylum seekers, migrants and refugees, that we should be proud of our young Lions in the England team who represent all that is good in this country, including our diversity. It is time for the trade union movement to step up and take a far more proactive role – indeed to take a leading role – in opposing this new far-right movement on the streets of London and elsewhere. We must educate our members and equip our activists with the counter arguments. 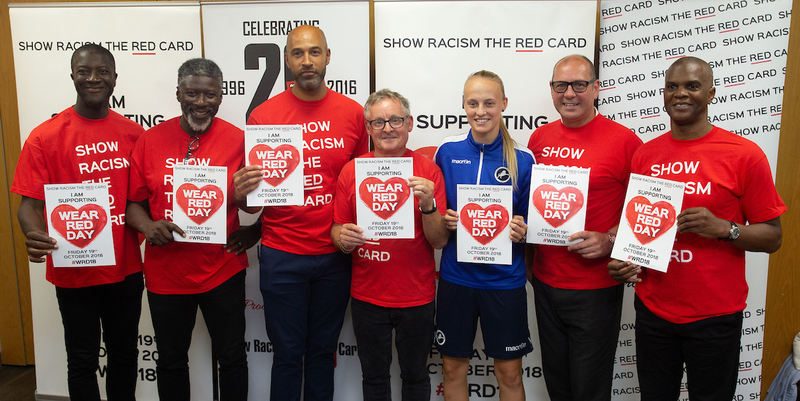 We will go into all the workplaces where we organise with a message of unity and hope, rather than hatred and the scapegoating of minorities. And we must re-double our efforts to address the concerns of workers – pointing out the simple truth that it is not migrants, black people, Muslims or Jews who are the problem – but the bosses, the off-shore speculators and tax evaders who are causing the growing inequality and the devastation of our public services. We must stand up to the racists, the bigots and the bullies while building a movement that can transform the rotten system we live in and replace hate with hope. To put it another way, to those who’ve been “seig heiling” on our streets: our hands are for better things – they are the hands of friendship, for holding, for building things for the common good. But our hands should also be clenched in the fist of solidarity to demand and build a world that, as one political leader of great integrity, impeccable anti-racist credentials and huge principal, puts it is “For the many and not the Few”.